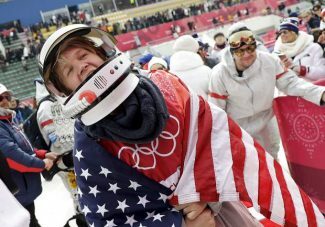 STEAMBOAT SPRINGS — Ten months of intense training and two months of pressure-packed qualifying and it all came to an end Sunday for athletes hoping to compete at the 2018 Winter Olympics in Pyeongchang, South Korea. Of the more than 30 local Steamboat Springs athletes who started the season this winter with hopes of qualifying for the Olympics, several have guaranteed their spots at that event, which starts Feb. 9 with the Opening Ceremonies. Many more saw their dreams dashed, either via injury or insufficient results. A handful of others, meanwhile, are now entirely through the qualifying process and still awaiting word as to whether they’ll add “Olympian” to their resume. Sunday featured one last day of on-snow action, and at least one local athlete very much took advantage of it. Today, however, the action goes to the meeting rooms. The first meetings will take place in Europe, officially declaring how many spots each nation will be allotted in each event. 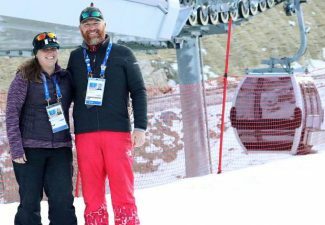 The focus then turns somewhat more local, where officials from the United States Ski and Snowboard Association and directors and coaches from each of the Olympic disciplines will meet in a series of meetings deciding just how to divvy up those Olympic spots. Many are already spoken for by athletes who’ve met objective qualifying standards, including Steamboat athletes Bryan Fletcher in Nordic combined and Jaelin Kauf in freestyle moguls skiing. 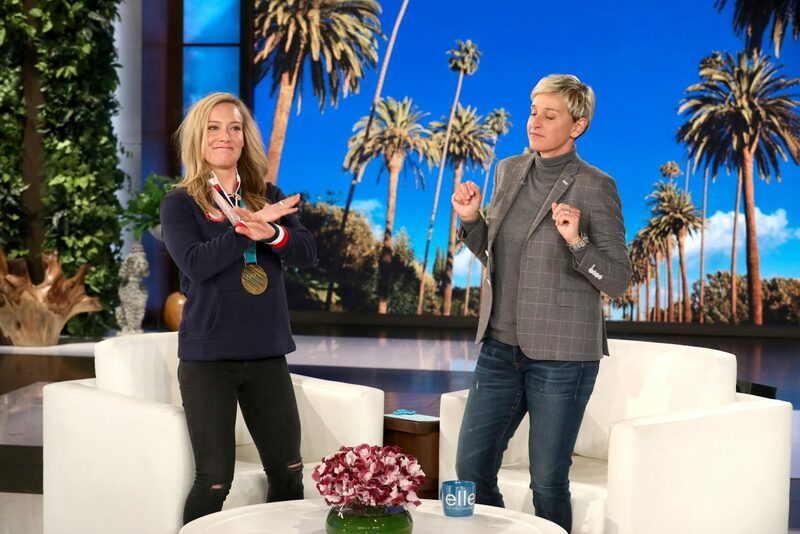 Others, such as Steamboat halfpipe snowboarder Arielle Gold, are confident they’re in line to receive a phone call, while still others, like snowboard cross racer Mick Dierdorff, are also very much hoping to get one. Roughly between eight and 10 local athletes either have already qualified to represent the United States or can expect to be selected in the coming days. Another four are likely in line to represent other nations. Steamboat Springs Nordic combined skier Taylor Fletcher ensured he’d be a part of any Monday conversations relating to the United States Nordic combined Olympic contingent with a dynamite performance Sunday at a Continental Cup event in Rena, Norway. 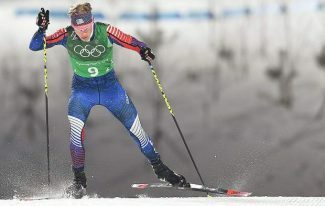 Fletcher entered the weekend in perhaps the most significant slump of his career — one that includes a World Championship medal and two trips to the Olympics. He hadn’t yet scored any points on the World Cup and hadn’t raced on the Continental Cup, a lower-level circuit where other Americans had been scoring earlier in the season. By any Olympic team selection logic that came down to points, he was at the bottom of the pile. He changed that with two big performances in Rena. He was fourth in Saturday’s event, then raced to third place Sunday. Those were the two best United States performances on that circuit this season and take Fletcher, if nothing else, off the bottom. He jumped to 19th place, then powered his way up through the field to the lead pack by the end of the third of four laps, joining a pair of young Austrians, Dominik Terzer and Martin Fritz. They worked together to keep Fletcher in third. Contacted by Steamboat Today, Fletcher said the exact relevance of Sunday’s finish on his Olympic hopes wouldn’t be clear until after today’s meetings, but no matter what it means long term, it was a good day for him. Adam Loomis scored points with a 29th place finish. Grand Andrews was in at 37th and Jared Schumate at 40th. On the World Cup, the four-man team of Jasper Good, Ben Berend, Ben Loomis and Stephen Schumann combined to place 11th. Alpine snowboarder Aaron Muss posted a big result in his last weekend, as well. He placed sixth on Saturday in a parallel giant slalom World Cup event in Slovenia. He was 17th a day later and was the top U.S. rider in both events, as he has been for much of the season. The sixth-place finish matched the best result of his career. On the women’s side, Ester Ledecka won the only race she competed in. Maggie Rose Carrigan was 36th one day, matching her best World Cup finish, and was 40th the other day. Millie Bongiorno was 43rd in one event. Competing at a moguls World Cup event in Canada, Jaelin Kauf had what’s been one of very few “off rounds” for her this season. 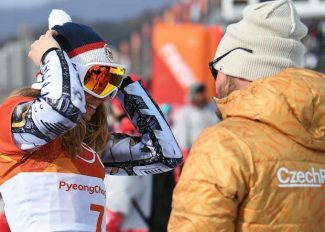 She made the 16-skier finals but didn’t advance to the superfinal, placing 15th.